I've had a conversation with one of my best friends at multiple times about how all the major heroes of Harry Potter seem to be from Gryffindor. 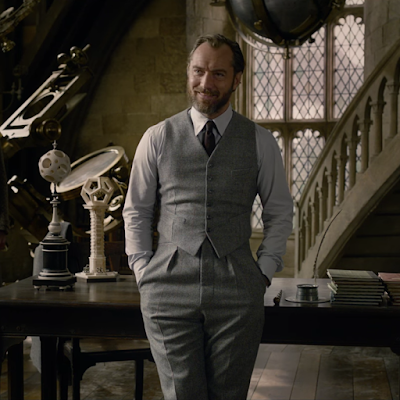 In honor of "Fantastic Beasts: The Crimes of Grindewald" coming out recently, I wanted to highlight a few heroes from the yellow house. Upcoming minor spoilers if you haven't seen the new movie. Obviously our quirky magizoologist had to be on this list. Twice so far we've had adventures from our nutty Hogwarts drop out. We've far from seen the last of Grindewald, but in his first encounter he was able to subdue Graves/Grindewald and take him into custody. 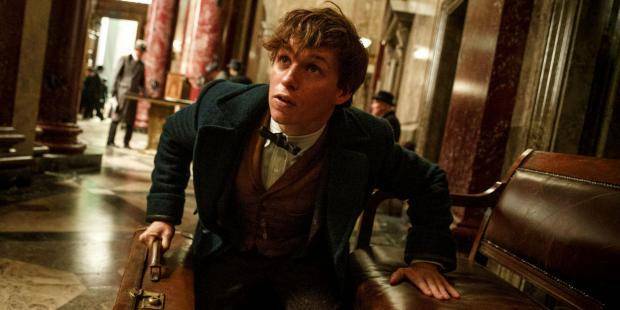 We know from "The Philosopher's Stone" that Dumbledore is the one who defeats Grindewald in the end, but I'm getting the sense that Newt will continue to play a vital part in his defeat. Not only that but he wants to do it in the most humane way possible. 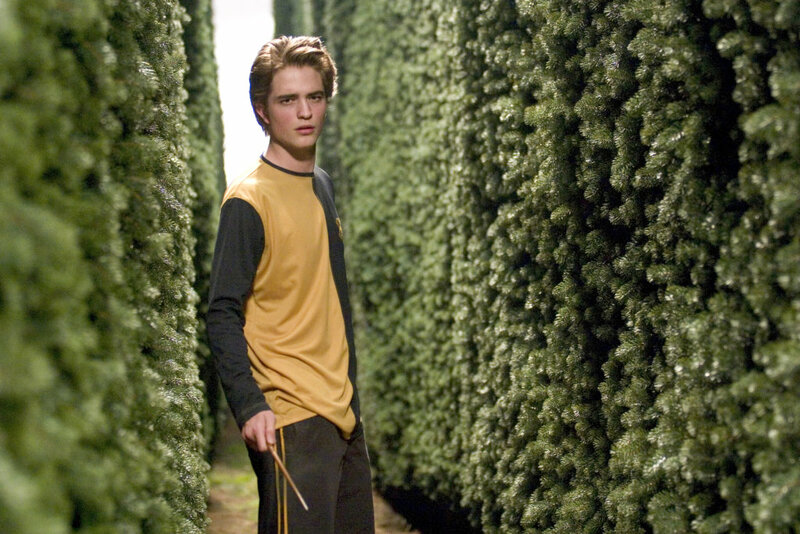 He may not have gotten the spotlight very much, but from the book and a half we know about him, we know Cedric was a good young man. He graciously accepted his win against Gryffindor in "The Prisoner of Azkaban" (and even tried to make a do-over happen). 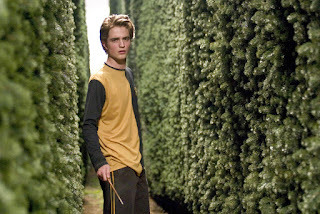 And then the next year when he and Harry were competing against each other for the Triwizard Cup. He showed dignity and loyalty to his school throughout the whole thing, even though he could have been mad at Harry like the others. In the end, he helped Harry win the Tournament, even though he didn't survive the trip home himself. We weren't introduced to Tonks until the Wizarding War was underway, but she showed more bravery than many Gryffindors. After she married Remus, she still put her life on the line to protect the Wizarding World, the Muggle World, and her son. Her sacrifice ended up being ultimate, being one of those lost in the Battle of Hogwarts, alongside her husband. 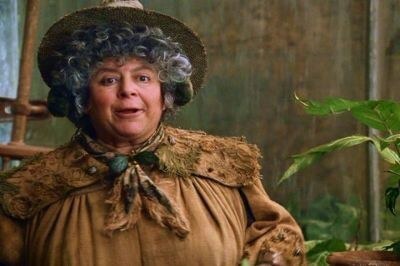 I think it's safe to assume that her legacy was carried on by her metamorphmagus Hufflepuff son, Teddy. Ernie Macmillan, Justin Finch-Fletchley, etc. Despite being critical of Harry in "The Chamber of Secrets" and "The Goblet of Fire", the Hufflepuffs of Harry's year were loyal and kind people who always seemed to be there for him. We also had a fair number of them join Dumbledore's Army during "The Order of the Phoenix" and while none of them were enlisted to fight at the Ministry of Magic, they stayed to help with other DA members during the following battles at Hogwarts. Professor Sprout was the Head of Hufflepuff house and Herbology professor during Harry's education. 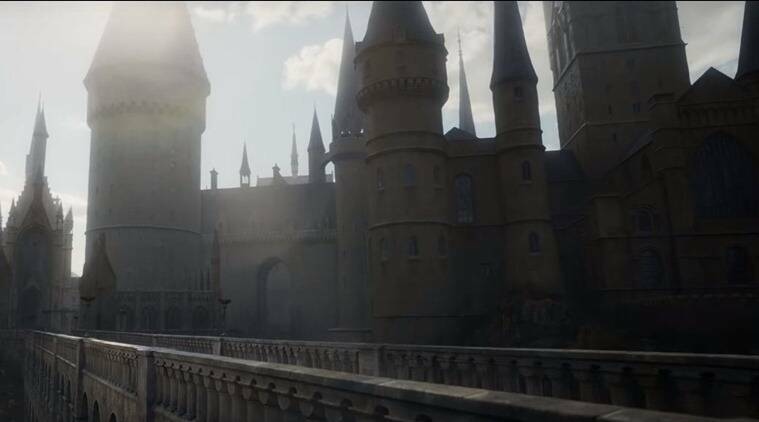 She seemed to hang out more in the background for many of Hogwarts's major events. However, she stood out to help particularly during the Battle of the Astronomy Tower and the Battle of Hogwarts, standing up to Voldemort and Death Eaters, often just with her magical plants. Bonus points for the hero of the play "Puffs". 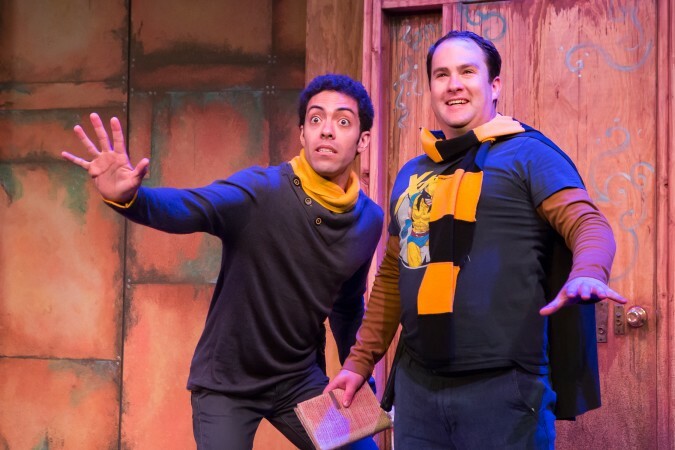 The parody play follows seven years at an unnamed British school of magic. The Puffs tend to hang out in the background compared to the other houses, but our hero Wayne is more of a hero than he realizes, even if it's just for making me happy to be a Hufflepuff. Bottom line: next time you're in NYC, get tickets for Puffs. 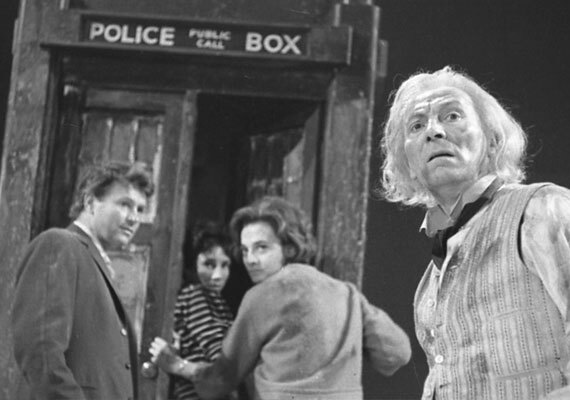 The Doctor has been traveling through time and space (and our TVs) for 55 years now. Not counting spin-off material, that gives us 284 adventures that we know about (as of today). He's gone to the creation of the Earth ("The Runaway Bride") to the end of the universe ("Utopia") and he's influenced history (both in the past and future history), but there's only a handful of times that he's influenced historical Real World events. After accidentally traveling to the Stone Age, the First Doctor, his daughter, and their unwilling companions (Ian and Barbara) get caught in the middle of a tribal feud. In order to gain their trust, Ian makes fire for them. Teaching the tribe to make fire wins them enough points that they're able to leave in the TARDIS (even though it takes them a while to actually return to present-day London). The Fifth Doctor and his TARDIS team (Adric, Tegan, and Nyssa) end up in the middle of a 26th Century Cyberman plan, which includes an explosive freighter crashing into Earth, to prevent an anti-Cyberman alliance. The Doctor's team manages to change the freighter's course... into the past. 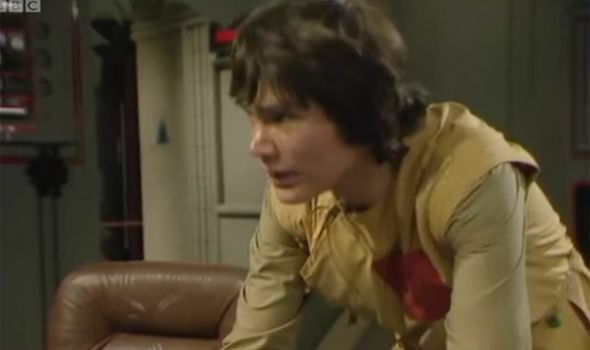 Before Adric can stop it, it crashes into the Earth, killing him and (as they've travelled millions of years into the past) the dinosaurs as well. 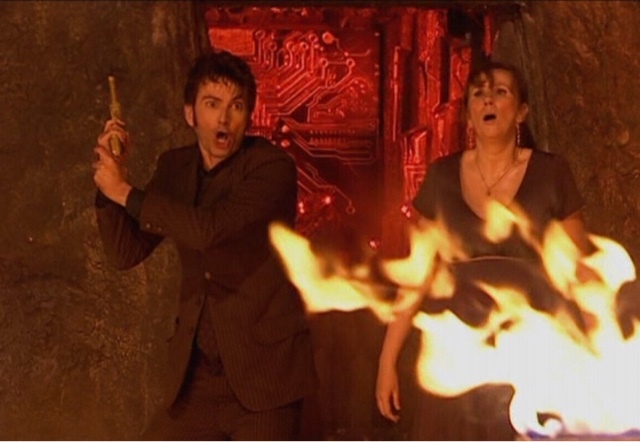 In an attempt to show Ancient Rome to Donna, the Tenth Doctor ends up taking her to Pompeii, the day before its destruction. They got flipped around, due to some oracles and a missing TARDIS, they ended up in the middle of an alien plot. In order to stop the Pyroviles from conquering the world, but the Doctor has to cause Vesuvius's eruption, sacrificing Pompeii to save the world. Following a possible alien to the 1890s, the Eleventh Doctor and Amy meet Vincent. As they befriend Vincent, they track down the alien. Along the way, they learn of Vincent's depression (which will eventually lead to his suicide) and they drop hints along the way of paintings that Vincent will do. 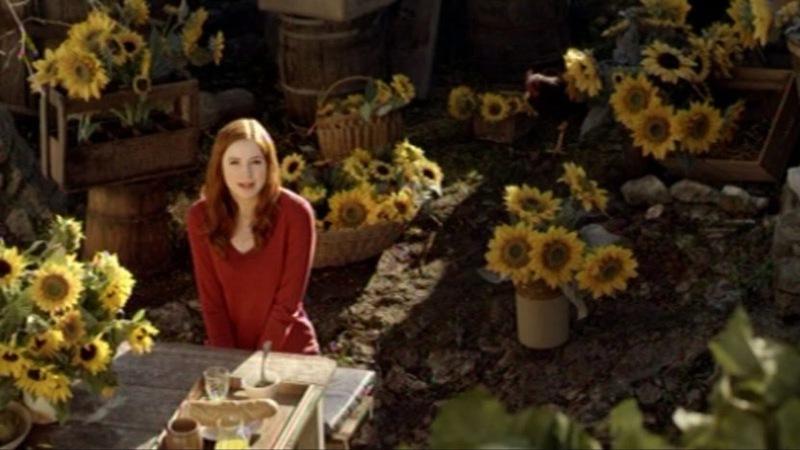 These paintings may have very well happened without the Doctor and Amy's interference, but in this version of events the Doctor and Amy lead Vincent to the sunflowers ("Vase with Fifteen Sunflowers") and the church ("The Church at Auvers"). 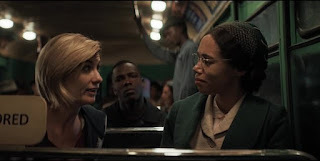 Trying to get her brand new TARDIS team back to 2018, the Thirteenth Doctor ends up in 1955 Alabama right before Rosa Parks refuses to give up her seat. A time traveling racist comes back from Stormcage Containment Facility (same place River Song was imprisoned, FYI) and tries to rewrite history to stop the end of segregation and all the progression that came since. However, as they stop the time racist, the Doctor and her companions realize that (by taking up seats on the bus) they helped make history happen. What did I miss guys? What historical figures and events did you enjoy from the Doctor's adventures? What events would you like to see? 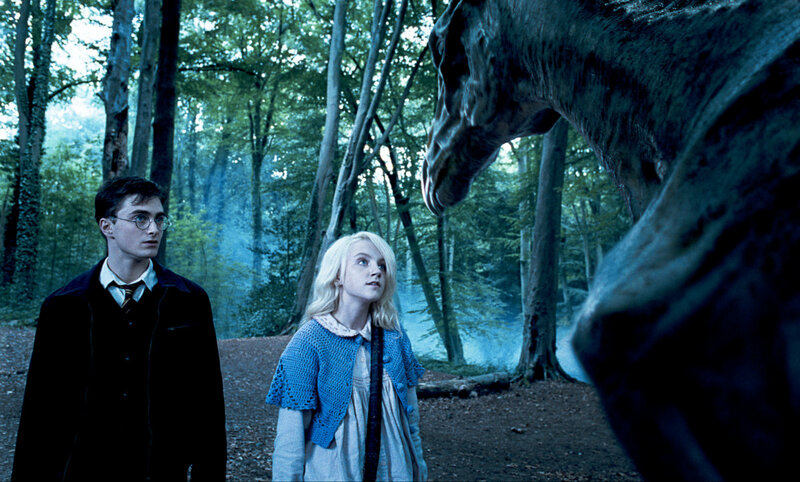 Luna Lovegood: [My father and I] believe you, by the way. That He-Who-Must-Not-Be-Named is back, and you fought him, and the Ministry and the Prophet are conspiring against you and Dumbledore. Harry Potter: Thanks. Seems you're about the only ones that do. Luna Lovegood: I don't think that's true. But I suppose that's how he wants you to feel. Harry Potter: What do you mean? Luna Lovegood: Well if I were You-Know-Who, I'd want you to feel cut off from everyone else. Because if it's just you alone you're not as much of a threat. Like many people I've had my critiques of the Harry Potter movies over the years, but this was one added part that I liked (at least I don't remember it being in the book). As if being an angsty teenager isn't enough, Harry had the Ministry of Magic and the Daily Prophet fighting against him for a year. This was only a few months in and he was already feeling worn. While it wasn't necessarily in the book, I'm sure Voldemort would revel in the lack of faith Harry seemed to have in his own cause at this point. After all, loneliness is powerful. How many times do you get discouraged in life? Lonely? Sad? While it's not necessarily Satan's end game, discouragement and loneliness certainly makes it easier. 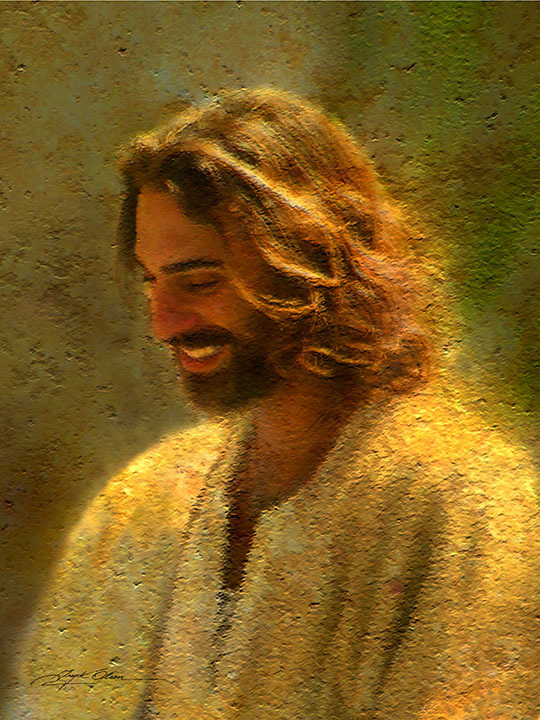 If I feel lonely, it makes it easier for Satan to tempt and corrupt and discourage. 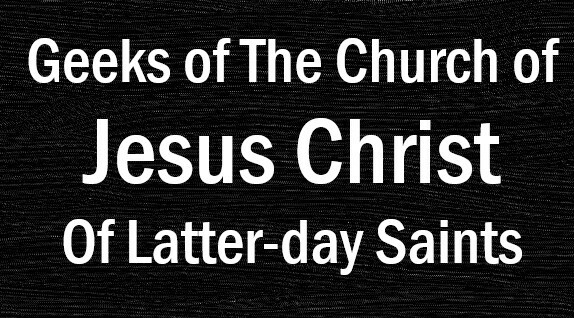 But the scriptures teach us that we're not alone. Instead, we've got evidence that we have countless allies cheering us on, supporting us, and fighting for us. Next time you feel lonely, remember that you're not alone. Don't get discouraged. Don't give up. Hang onto your faith.